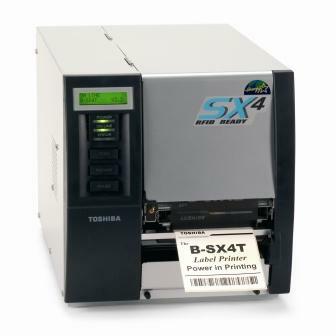 TOSHIBA TEC B-SX4 Industrial Printer is ideally suited to any high output application. TOSHIBA TEC has retained all the proven features of the very popular B-472 printer, whilst providing the latest technical innovations in functionality and performance. The integrated RFID capability offers flexible options for virtually every RFID need on the labelling market. Constructed from heavy-duty steel.